This piece is for week 2 of the "use cardboard" challenge. 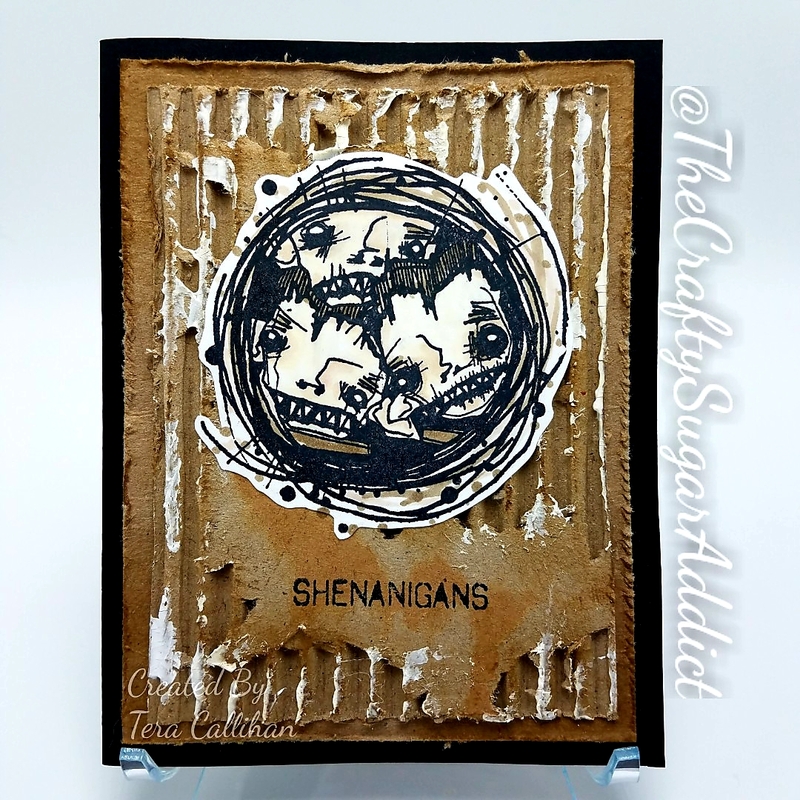 I started with an A2 card base, a piece of cardboard from when you order postage stamps, and a piece of corrugated cardboard that I pealed some of the top coating off of, to reveal the corrugated goodness... I used some wendy vecchi cracking paste for added details. I also used some distress inks in vintage photo for added depth. I used black memento ink to stamp my sentiment. On a separate piece of cardstock I stamped my boys. 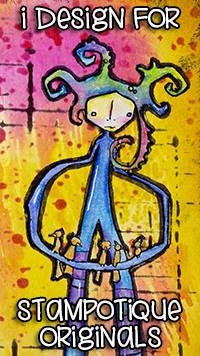 I colored them with blick alchohol markers. Finally, I used distress collage medium to glue everything together. I hope you join us!! I love the ruggedness of this one. And those three boys squished into the scribble circle have me chuckling. Love this inspiration today. Thanks for your comments, I love hearing from you! !